This Place of Worship was founded in 1876, but we understand it was closed in 1981, and the premises are now in secular use. 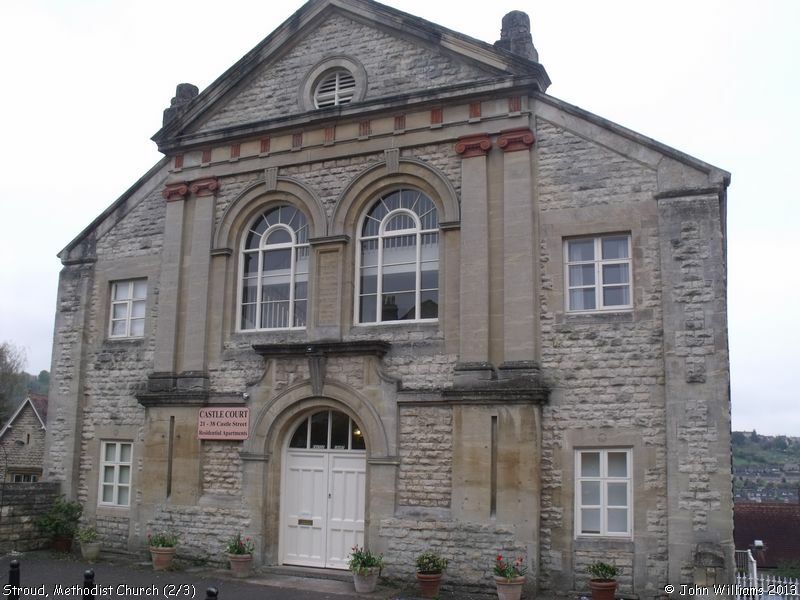 Stroud Methodist Church is now a Listed Building - see the British Listed Buildings website for more details. It was built in 1876 to a design by James Tait of Leicester, in the Classic style with " Palladian temple front: coupled Ionic pilasters taking entablature with pediment". 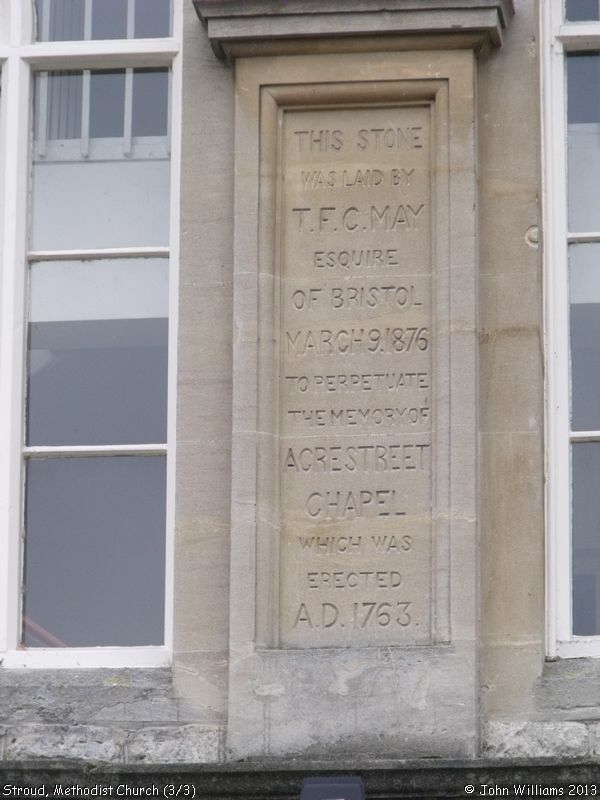 This confirms information provided in Non-Conformist Chapels and Meeting Houses, Gloucestershire (1986), that it was built as a replacement for the former chapel ("preaching-house") in Acre Street. It adds that it closed in 1981. Methodist congregations in Stroud are understood subsequently to have joined St Alban Mission Church, when it became a shared-use Church (Anglican/Methodist). This was in 1999, according to notes on <Stroud Genealogy on Stuart Flight's "Glosgen" website. It is not known what happened in the intervening years. In the present day, "38 Castle Street" (as it is recorded on the Listed Building site), has been converted into apartments. Stroud Methodist Church, Stroud shown on a Google Map. Information last updated on 14 Nov 2018 at 14:23. 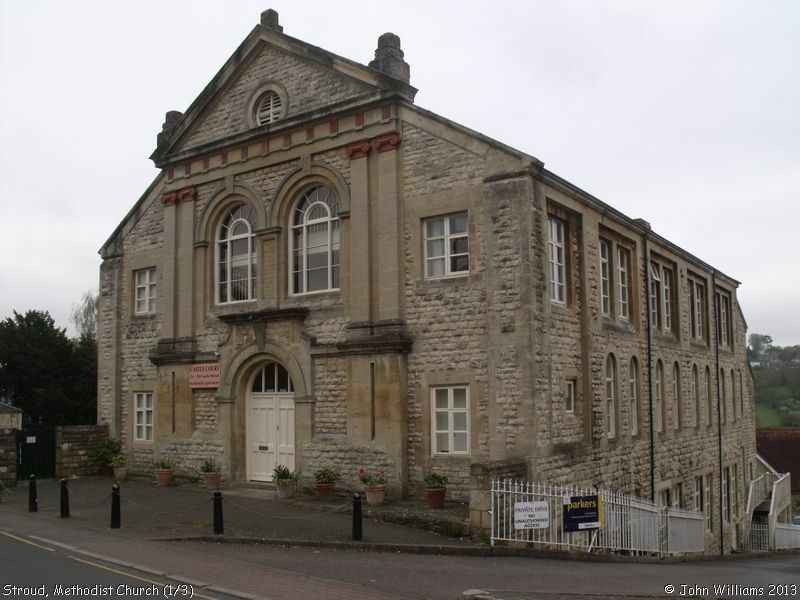 Please also remember that the former Stroud Methodist Church is understood to be in secular use, so care should be taken to preserve the privacy of its occupants. This Report was created 19 Apr 2019 - 09:17:32 BST from information held in the Gloucestershire section of the Places of Worship Database. This was last updated on 7 Feb 2019 at 07:45.